Budget managers are constantly confronted with changing circumstances that undermine the best laid budget processes. How does the budget manager respond to these events? Unforeseeable events could include a sharp and unanticipated fall in commodity prices, a global economic shock, a health crisis, an extreme weather event, a financial failure in a state owned enterprise requiring a sudden budgetary allocation or dramatic political changes that have profound effects on the public finances. Such events can and should be managed without destabilising the budget. 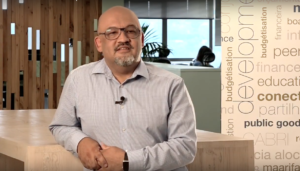 The 2017 CABRI Conference provided opportunities for senior budget officials to share practical examples on the budgetary pressures they have faced. How did they manage them? What did they learn? What would they do differently next time round? The conference provided participants with tools and strategies to prepare for and respond to different kinds of extraordinary budget pressures, so as to minimise cost and build resilience. While up‑to‑date approaches on how to prepare for fiscal risks were discussed, the conference focused on how to respond when fiscal risks turn into fiscal shocks. The conference paid attention to different response options, including negotiation, mitigation or absorption and their consequences; key choices when absorbing pressures; and strategies for communicating the budgetary implications to decision-makers and stakeholders. en How can finance ministries prepare better for in-year pressures?